At Chinook Pumps you can be assured we carry only top line products from the many suppliers available. We stock pumps, controls and motors from such brands as Grundfos, Berkeley Pumps, Franklin Electric, Liberty, Baldor, WEG Motors, SJE Rhombus, Webtrol Pumps, Tsurumi Pumps. We have the staff to assess your project requirements and recommend the equipment you will need to suit your needs. We are the warranty dealer for Grundfos, Berkeley,Bell & Gossett, Franklin. We have an onsite test facility and repair facility. At Chinook we use Berkeley Pumps in many different pump applications. We carry Landa Pressure Washers. We carry Baldor Electric Motor products. We carry Boshart Industries products. We carry Crane Deming Pumps. We carry North Star Water Conditioning products. We carry SJE Rhombus products. We carry T & E Pumps products. 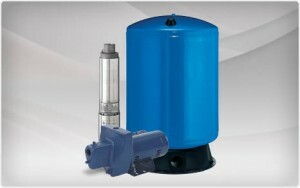 We carry Webtrol Pumps products. We carry WEG motor products. We carry Zoeller Pumps products.